Alicante is a popular destination among tourists. 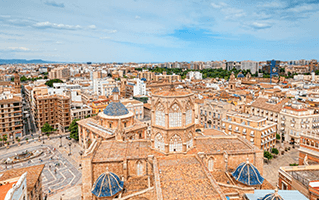 The city lies in the Valencian Community of Spain and boasts of monuments from the medieval period. The museums in the city have artifacts of high importance and are definitely worth a visit. The beaches are probably the reason you wish to visit Alicante in the first place! And rightly so. In the heart of the city there is Postiguet Beach. The sandy beach is popular during the day and fairly busy during the evening when it's illuminated by sodium street lights. Alicante offers much to the visiting tourist. From picturesque vallys to ancient churches - there is something for everyone.